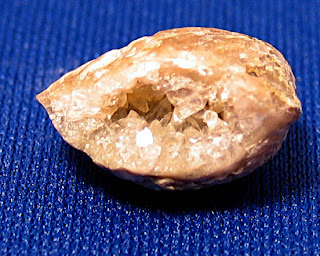 Stay with my theme this week of crystals and brachiopods... Calcite crystals formed in Athyris brachiopods of the Middle Silurian Period. Fossils found in the Waldron Shale of Clark County, Indiana. 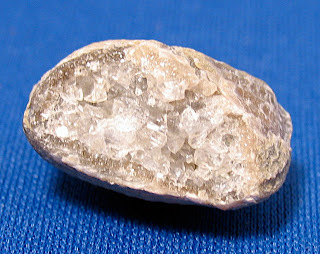 Since they are in this limestone material I will assume they are calcite. 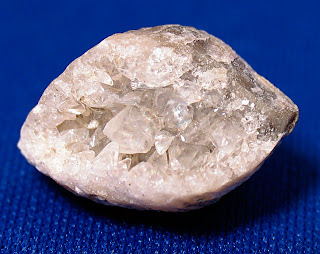 Plus calcite is one of the most common minerals found in the state of Indiana.